This blog will feature the writings of Nancy Reiner, my half-sister and, as we later learned, a good friend of Jimi Hendrix up until his death. 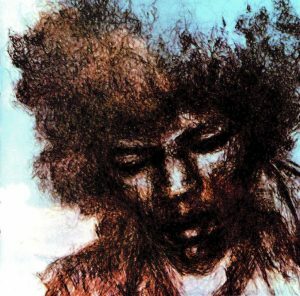 She sketched Jimi for the cover of his Cry of Love album. She also wrote poetry with him, and traveled with him to London, to the Pop Festival in Monterey, Ca., to court in Toronto, and just around town (NYC). Nancy lived on the upper west side of Manhattan, just a couple of hours drive from my family in NJ, but sadly, we never met Nancy. We waited nearly a lifetime to look for the daughter we knew our father had, and when we finally found her, it was three months too late. But Nancy left behind, and I recovered, a thick stack of white paper on which she had hand written pithy and lucid musings on a range of topics: Jimi of course, family, friendship, love, Mike Jeffery (the Jimi Hendrix Experience’ business manager), politics, the times (60s), and the healing qualities of art. Nancy also wrote about other musicians she knew, like Richie Havens, Johnny Winter, Buddy Miles, and Frank Zappa. 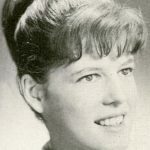 This blog is devoted to our half-sister and her poetic musings, and to the extraordinary art that emanated from her generation, that inspired her, and that seems to have passed, like Nancy, all too quickly. However, before reading anything of hers, you will probably want to read The Background Story here. Hi, are you aware of Jimi Hendrix items being auctioned off on gottahaveit.com saying they were owned by Nancy Reiner? Please contact me about this at my email address. Thanks.